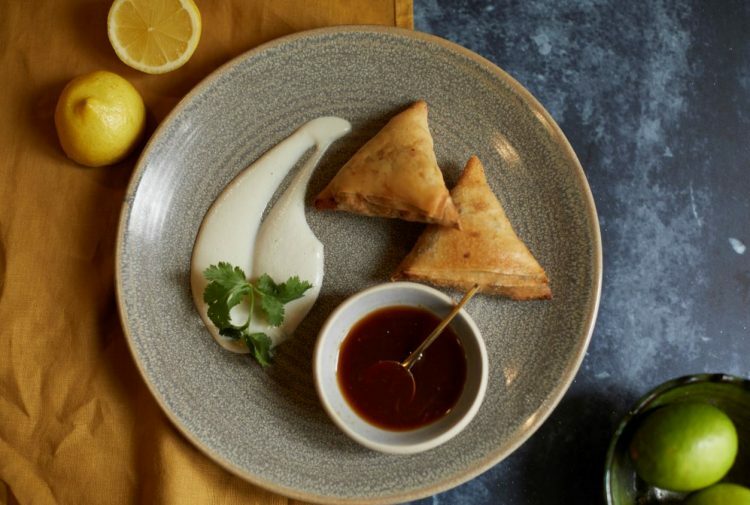 We’re inviting you to sample our delicious meat-free dishes available now at Brasserie Blanc… To start, we love our aromatic vegan winter vegetable samosas served with a citrus soy dipping sauce and coconut & cashew cream, simply delicious. Or opt for Salad ‘Maman Blanc’, a vegan mezze of traditional French salads inspired by Raymond’s mother. Moving onto mains, we know you’ll love our harissa-glazed aubergine on a bed of homemade baba-ganoush, finished with pomegranate jewels & served with flatbread – this sweet & smokey vegan main is a must-try. Or why not go for our pan-seared organic tofu in an asian spice marinade served with braised fennel salad, this vegan dish is bursting with flavour and texture, one of our favourites. To finish, we suggest our vegan apple & sultana crumble served with our incredibly rich & creamy dairy-free vanilla ice-cream. We want everyone to be able to dine ‘chez nous’, so to find out more about our vegan, vegetarian, gluten & dairy free options, click here.